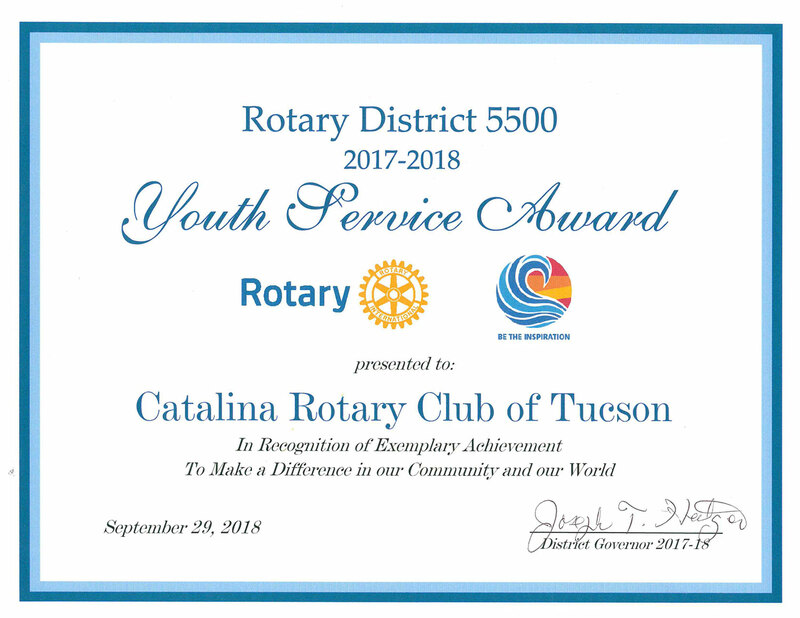 The Youth Service Award recognizes the Catalina Rotary Club’s efforts to promote the leadership skills and service orientation of youth and young adults through the development of an Interact Club comprised of youth aged 12-18 and of a Rotaract Club comprised of young adults aged 18-30. 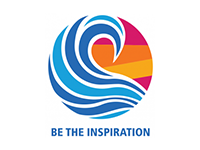 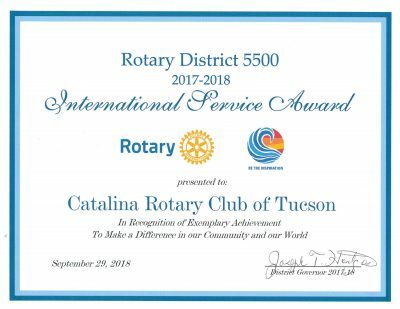 The activities and accomplishments of both clubs are based on the Rotary ideal of ‘Service Above Self’. 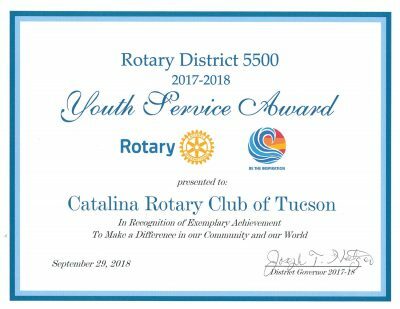 The youth award also recognized the club’s efforts with the Boys & Girls Clubs of Tucson, the dictionary project and the grants the club provided to organizations serving youth. 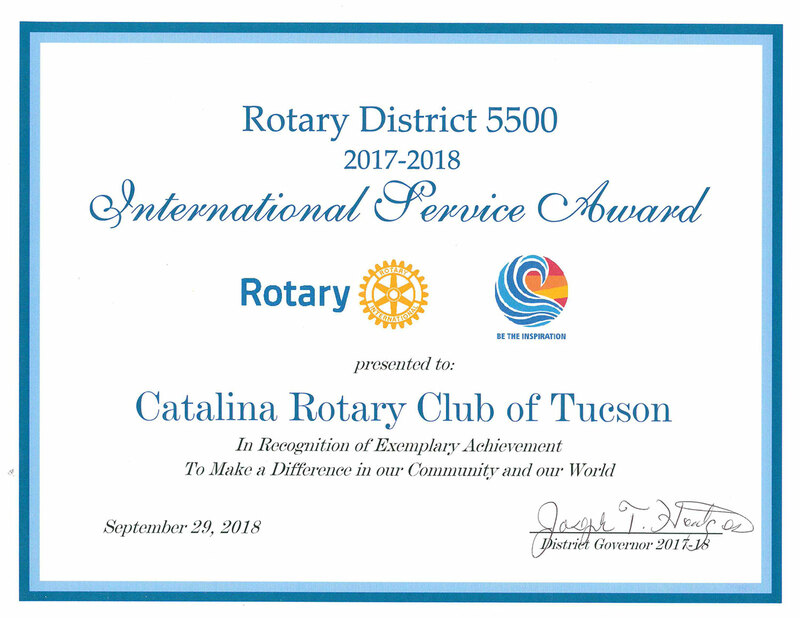 The International Service Award recognizes the club’s efforts to promote peace, wellness, and education beyond our local community by sponsoring and spearheading a project to bring healthcare to the most rural areas of the state of Sonora, Mexico,and by underwriting school tuition for students in Tepehua, Mexico. 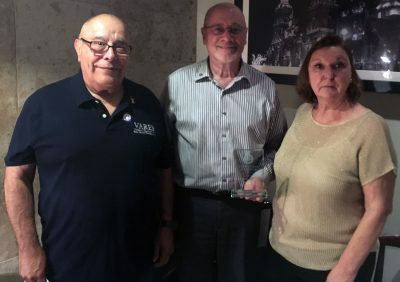 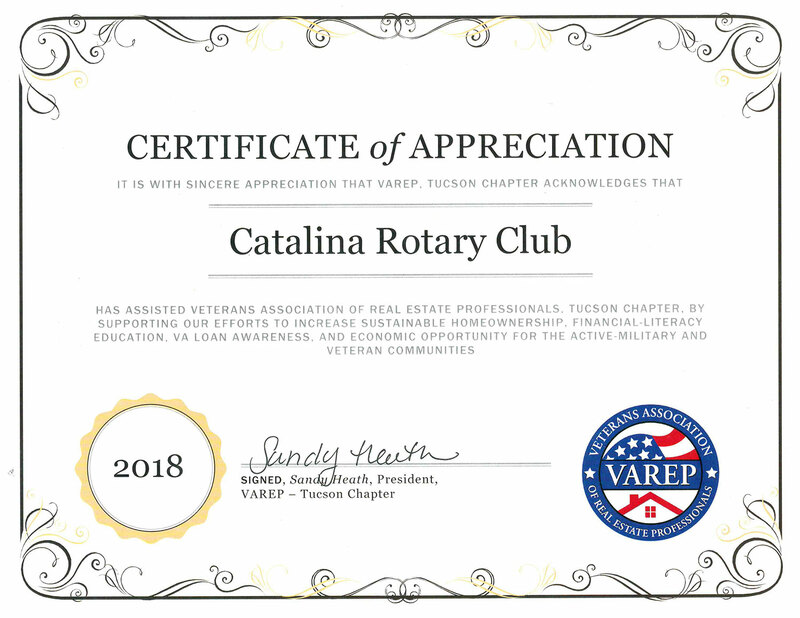 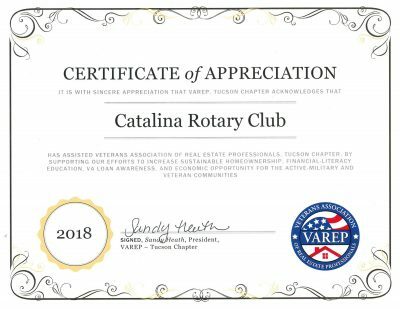 The Catalina Club was also recently honored by the Veterans Association of Real Estate Professionals for our club grant that supported VAREP’s annual homeless veteran’s dinner and care packages.